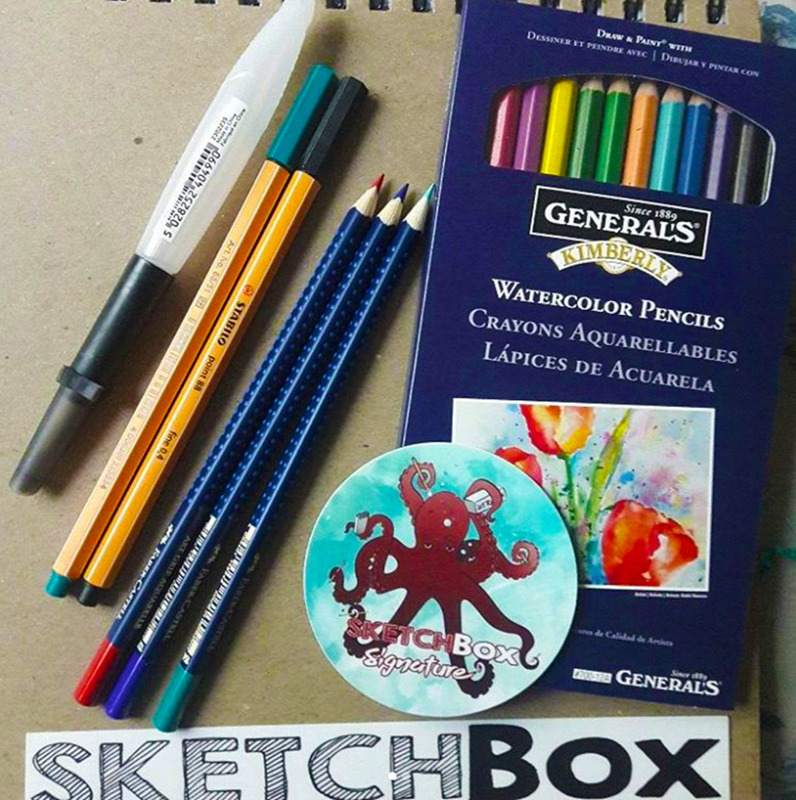 This month is all about watercolor pencils! First we included a full set of Kimberly Watercolor pencils from General Pencil. It also contained three of Faber-Castell's Art Grip Aquarelle pencils to help balance out your new set and to offer a comparison between brands. We also included a Derwent Graphik H20 Brush. This high quality water brush allows you manipulate your new piece by adding water in a precise manner. Finally we included a black and a turquoise Stabilo point 88 fineliner to allow you to add detail and finishing touches to your new watercolor piece. This picture of the box was taken by our subscriber @princess_sunshine98 on instagram!